Remember the ancient days of two days ago, when Mad Max director George Miller said that he doesn’t want to make more Mad Max? Well, this morning, Mad Max: Fury Road secured Oscar nominations for Best Picture and Best Director. So try not to be surprised when Miller says he’s totally in for more! 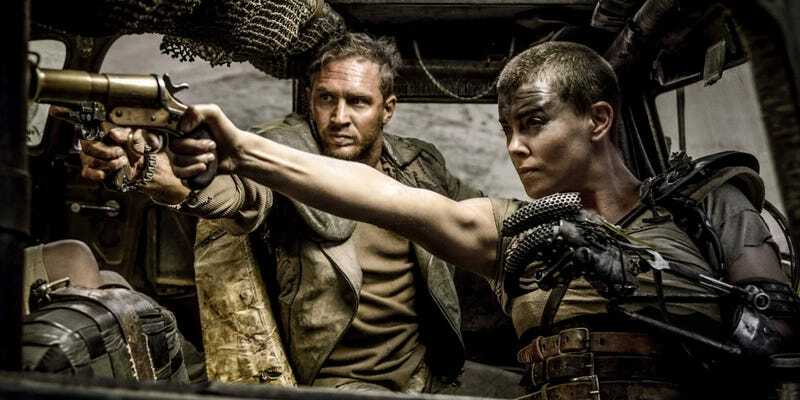 Does Director George Miller Suddenly Not Want to Make Any Mad Max Movies? That was a completely garbled interview. I was in New York and it was so noisy and the journalist was asking me questions on a red carpet at the National Board of Review. She completely got the wrong fragments of information that were just not true. I said no, [another ‘Mad Max’ movie] will not be next, and she took that to mean I never wanted to make another ‘Mad Max.’ It won’t necessarily be next, but I have two more stories. That makes a little more sense. The reason we were so skeptical when this news first broke was that the source of Miller’s quotes wasn’t written very clearly. At the same time, securing Best Picture and Best Director nominations today probably didn’t hurt Miller’s ambition to return to Mad Max’s crazy apocalypse. Let’s hope the process is a little less gruelling than Fury Road’s long path to release.